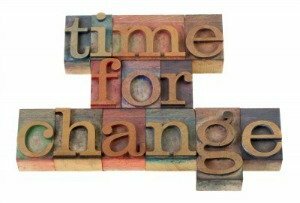 Personal Change Management:- Small Changes Can Lead to Big Results. Most people want to make some kind of positive changes in their lives but aren't quite sure how to begin the change process. Is there something about your life that you need to or would like to change? If yes, read on. This article will help put you on an effective path for personal change management. The first step in personal change management is realizing that something in your life is not the way you want it to be or the way it needs to be. Once you understand that, you must make a firm decision to change. Then, you will need an action plan in place for your making your desired changes. you can act by protesting, complaining, or setting goals for a positive outcome. Believe it or not some people approach change by complaining all the way through it. You can save yourself some headaches and anxiety by choosing to control the outcome you want by setting goals within your process. 1. Heighten your awareness level. Being mindful of yourself and your surroundings is very important here. My favorite mindfulness exercise is meditation, and I practice the TM technique. Meditation holds your awareness to the present moment. This frees you from becoming entangled in thoughts of your past. On a regular basis, practice some very basic mindfulness or meditation techniques to heighten your awareness. 2. Do as much research as much as you can. Learn about the change you wish to make. By expanding your horizons in this manner, you will gain new perspectives. You may find specific advice on how others have made a similar change. 3. Grasp any opportunity to step up into a leadership position at work. If you don't work outside your home, look for other ways to do this. For example, you could run for a position on the PTA at your child's school or chair a committee for your favorite local nonprofit organization. Pushing yourself to be a leader, particularly if you tend to fall into the role of a follower, will help you develop new skills that you can take into other areas of your life. 4. Identify any bad habits you hold, and try to work on them…one at a time. While some of your negative attributes may stand out like a sore thumb, others may be harder to identify. Talk to a trusted friend or family members that you are close to. Ask them for any constructive feedback that could help you. 5. Step outside the box and engage in new activities and experiences. Try to identify one thing each month that you would like to try and then follow through with it. The activity should be something that you have never done before or it could be something that you have limited experience with. This is a great way for learning how to deal with personal change. 6. Read as much as you can. Learn about new things and topics that you may not have been interested in before. By broadening your horizons in this manner, you will change the way you think and gain new perspectives on life. 7. Talk to people who are experiencing change similar to what you are going through. Their experiences can be invaluable in helping you move through the changes you need to make. 8. Be kind to yourself. Remember, it is okay not to be a success at everything that you do. You are in this to learn how you can be more responsive in dealing positively with change. You are not competing with anyone. Just try to enjoy it for what it is and for what you can learn from it. Everyone experiences some kind of change during their lifetime. It would seem obvious that everybody should embrace change... since it is a natural part of one’s life. Yet in reality, people are resistant change. They like the comfort of what is known to them. New and unknown brings uncertainty and a certain amount of discomfort. Even though we may be uncomfortable and resistant to change, we also know that every new situation requires a certain amount of learning and adjusting to new ways. Fear of the unknown, and the realization that we have to make a change management effort, makes us instinctively resistant to personal change. All this, despite the fact that we understand that personal change management can be the pathway to new possibilities and great opportunities. It is important to remember that everyone has to deal with some kind of change in their life at one time or another. That includes you. You have already gone through certain changes in your life as is evidenced by the fact that you are where you are today. You could not have been here without engaging some kind of personal change management. In conclusion, give yourself a reasonable amount of time to move through the change process. Take what you have learned from managing past changes and this article... and move forward. Self Awareness: What is it -and Why is it Important to You? Tell me your thoughts about what you just read here! Leave me a comment in the box below.